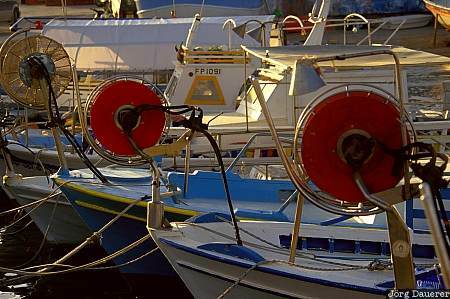 Boats in the harbor of Paphos in the south west of the mediterranean island of Cyprus. This photo was taken in the afternoon of a sunny day in April 2003. This photo is part of the exhibition Fishing Boats (October 2009).